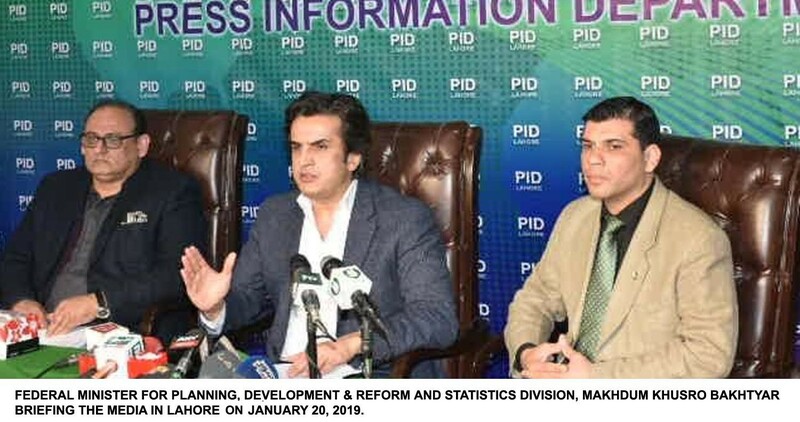 LAHORE, 20 Jan 2019: Federal Minister for Planning & Development and Reforms Makhdum Khusro Bakhtyar said on Sunday that trade deficit of $9 billion would be reduced with the operation of all the four economic zones of the country. one billion grant to Pakistan in next three years. He added that around 100 Chinese investors would soon visit Pakistan to explore investment opportunities in various sectors. 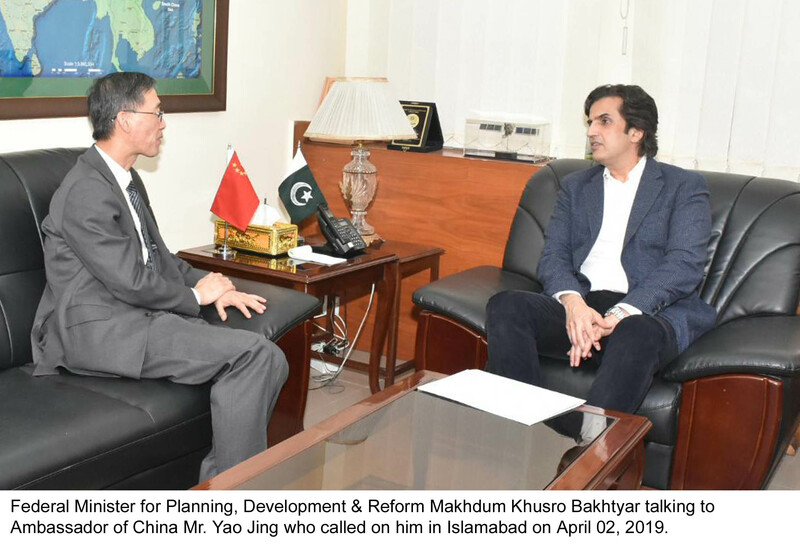 Khusro Bakhtyar mentioned that Pakistan and China had signed a Memorandum of Understanding (MoU) on industrial cooperation on December 20, 2018. To a question, he said that trade deficit recorded 19 percent reduction last month, while country’s exports jacked up and imports reduced. PTI government, he said, had decided to take China Pakistan Economic Corridor (CPEC) into new phase by widening the CPEC structure. Prime Minister Imran Khan’s visit to China was focused on strengthening of Pakistan's economy. He said that government was also putting in place effective measures to reduce current account deficit, besides prioritizing export sector facilitation to ensure increase in country’s overall exports volume. 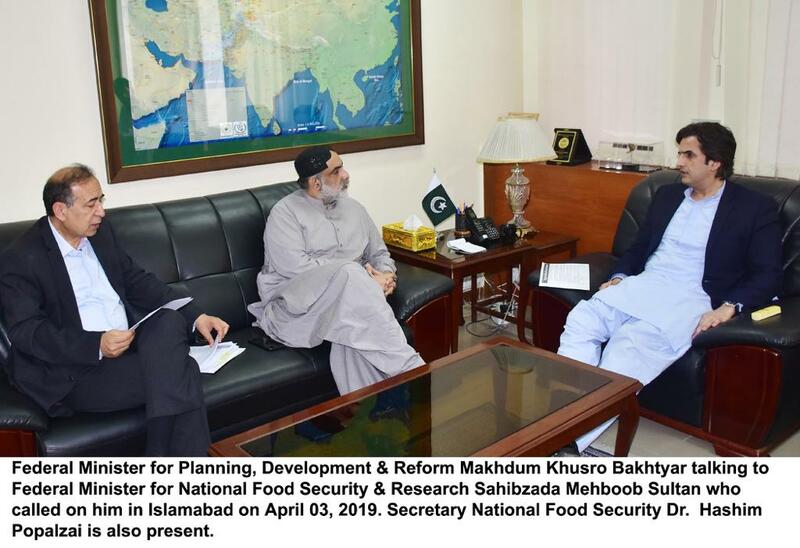 Federal Minister said that agriculture sector was not in focus in the CPEC but the present government convinced China to also extend cooperation in this vital sector. He mentioned that China had $ 7 billion share in the global trade of agriculture and livestock, and $3 billion in fisheries but Pakistan had no share in these trades. He said that China would cooperate with Pakistan in processing of fruit and vegetables. Khuro Bakhtyar said that government was paying greater attention towards skill development and promotion of education, health and irrigation in least developed areas was among priorities of the government. He said that Pakistan with the cooperation of China, was working on elimination of poverty as China had pulled its 700 million people out of poverty. Initiation of pilot project on Chinese pattern would definitely help reduce poverty substantially. To a question he said that Saudi Arabia and UAE had shown keen interest in the establishment of oil city in Gawadar, adding that government was also considering the promotion of infrastructure and development of western corridor. In this connection, he added, Quetta and Zhob cities of Balochistan were being linked through international standard road. To another question, he said that work on railway track (ML-1) between Peshawar and Karachi would soon be initiated and development projects were being completed on BOT (Build-Operate-Transfer) basis. 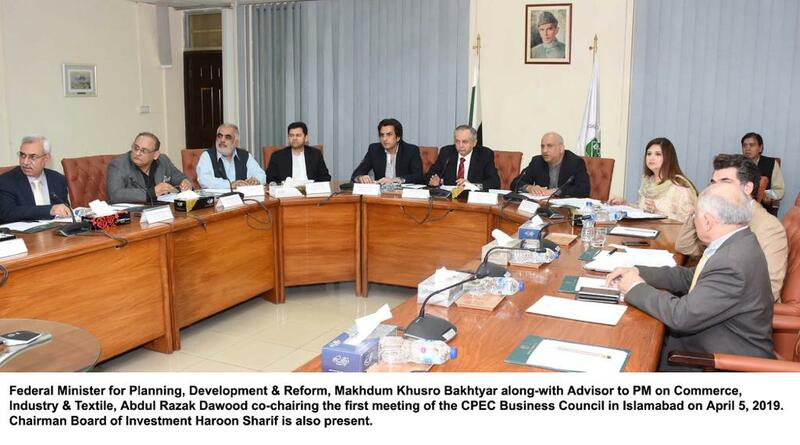 On the directives of Prime Minister, he said, CPEC projects were being executed speedily to ensure economic development in the country. He said that business advisory council was being setup, assuring that industry would have proper representation in this council. To a query, he said that federal government was in liaison with Balochistan Chief Minister with regard to development of Balochistan, which had great importance. Responding to a reporter’s query, he said that South Punjab Secretariat would be functional by June 30, 2019.